Tecno Camon X or Gionee S11: “Which of this smartphone is for you”, is the question I will attempt answering in this post. Both Tecno are Gionee are smartphone brands from same mother land, servicing same market segment, with Gionee being much more popular in other regions and countries than Tecno. On the other hand, both smartphone maker have different products and selling approaches. Tecno on one hand focuses much on affordable and reliable devices, a focus that the company misses most times. Gionee on the other hand, although have eyes for the bigger market, but also tab largely from the ever-growing mid-range smartphone market. 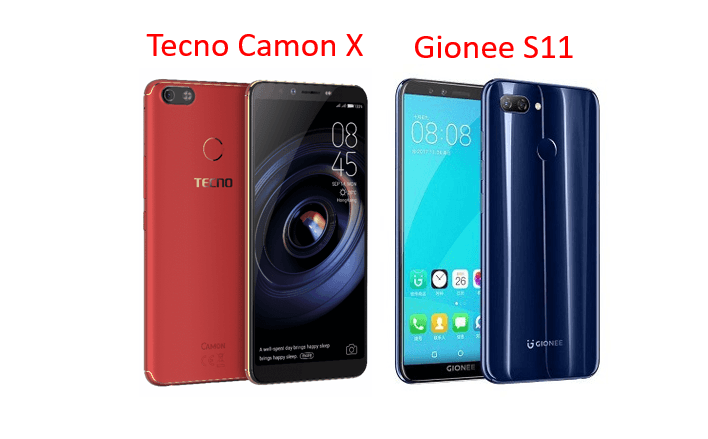 Enough of the brouhaha, what are the key differences between the Tecno Camon X and the Gionee S11? Look at the table blend below. The following keys should help you decide which of this smartphone is for you. From the OS department, the Tecno Camon X is more latest than the Gionee S11 (April, 2018 against November, 2011), as a result, the Tecno Camon X provides more latest and updated OS than the Gionee S11 (Android 8.1 (Oreo) on the Camon X, as against Android 7.1 (Nougat) on the S11. As for the display well, if you are paring the Tecno Camon X Pro against the Gionee S11, then you’ve got nothing much to worry about, the display on both devices feature a 5.99-inch Full-HD+ (i.e. 2160 x 1080 pixels). But note that the standard Tecno Camon X provides only HD+ panel (i.e, 1440 x 720 pixels). On the hardware department, Tecno Camon X Pro and the Gionee S11 goes even here: same Mediatek MT6763 Helio P23 CPU, same 4GB RAM and 64GB storage set-up. The standard Camon X however, provides only 3GB RAM and 16GB internal storage, which is a shame. Now, one major differentiating factor between the two phones are in the camera department. 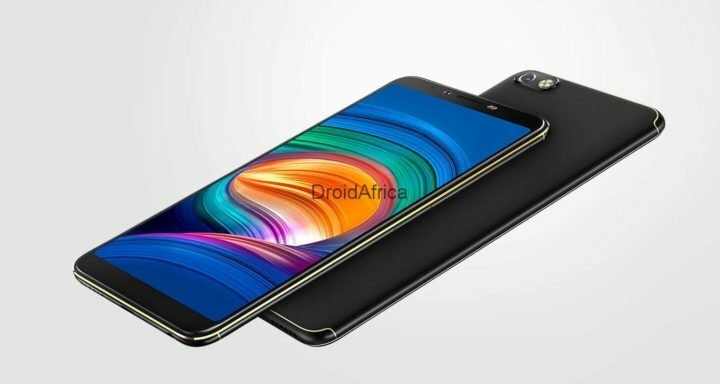 While Tecno Camon X/X Pro provides 16MP main camera and 20/24MP front-mounted sensor, the gionee S11 on the other hand, provides a 4 camera sensors; 16+5MP at the back, and 16+8MP at the front. Finally battery. Camon CM takes the lead here, offering 3750mAh battery as against the 341mAh battery on the Gionee S11. In conclusion, other factors that might still affect your buying decisions aside the aforementioned are; brand loyalty, pricing and availability. I’ll leave that to your decision. But know that the Tecno Camon X and the Camon X Pro are priced between 159 to 189 US dollars. 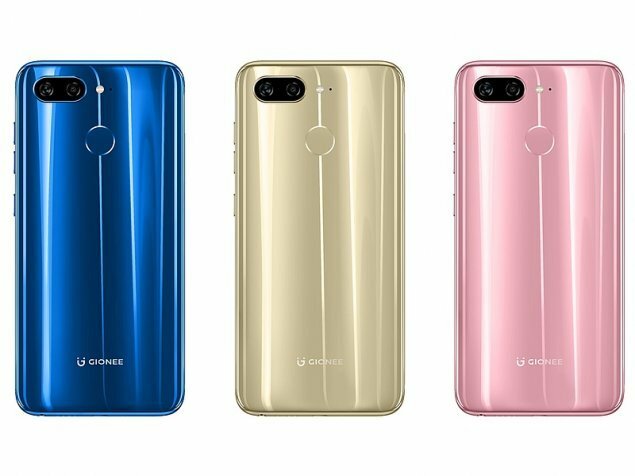 The Gionee S11 on the other hand is available from 289 US dollars.